One Payment for LIFE! Instant Access to Everything!! 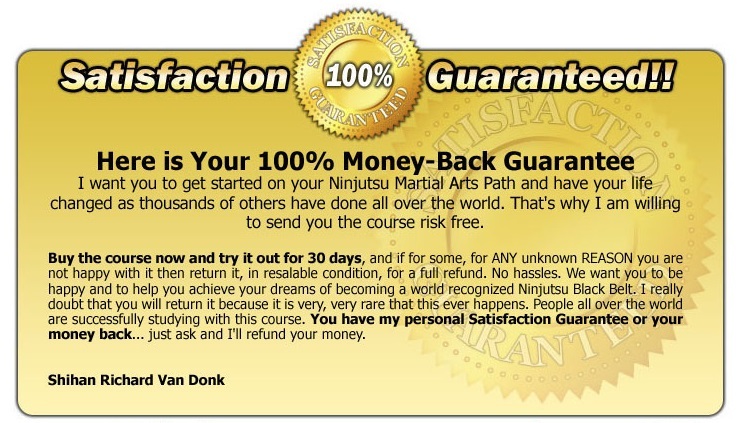 Shihan Richard Van Donk has codified over 35 years of Bujinkan study into a University Course that gives you the full spectrum of Hatsumi Bujinkan teachings from the Art of Awareness to Combat Ninjutsu/Budo Taijutsu. We will NEVER offer less!! Then level by level, technique by technique we step it up so that in a short time you are handling yourself in a fight with confidence and you are learning cool exotic weapons in the process. One day you will be handling multiple attackers that have weapons. Our training is fun and realistic. Be a part of ancient traditions and grow with it into the future. 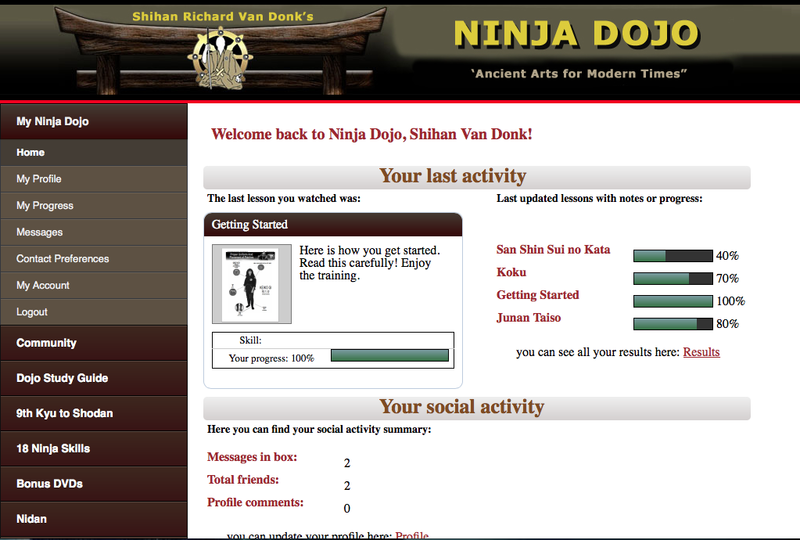 The Ninja Dojo Online is Bushindo University's latest innovation. Our Ninjutsu BlackBelt Home Study Courses, created in 1990, have been available on the web since 1996 and our online training since 2005. Now we haver taken our entire $2,750 TEN YEAR Ninjutsu Masters Course, added 3 times more to it and put in the online Ninja Dojo for one low lifetime access price! SEVEN COMPLETE COURSES! Shodan (1st Degree), Teacher Training, Nidan, Sandan, Yondan, Budo Taijutsu, Ninja Weapons Courses including 55 DVDs, 14 CDs, 8 large step by step How-to Manuals, 5 books, over 2,500 study pages, community learning, Ninja Vault and many cool Personal Training Bonuses. MORE BEING ADDED OVER TIME. I really appreciate your reading this far (or skipping your way down here). I do hope that you join us in our Ninjutsu Training and that I get an opportunity to meet you one day. The Shodan Course is the Beginning. We have a Shidoshi Teachers Training Course and advanced dan levels studies to 5 levels of 10th dan. If you are not ready for the ONE TIME for LIFE Payment for ALL IN ACCESS. then start with the NINJA DOJO ONLINE - AS LOW AS $15 MONTH-- this is a time delivered method of study with more and more studies every month. We have done our best to serve any budget. 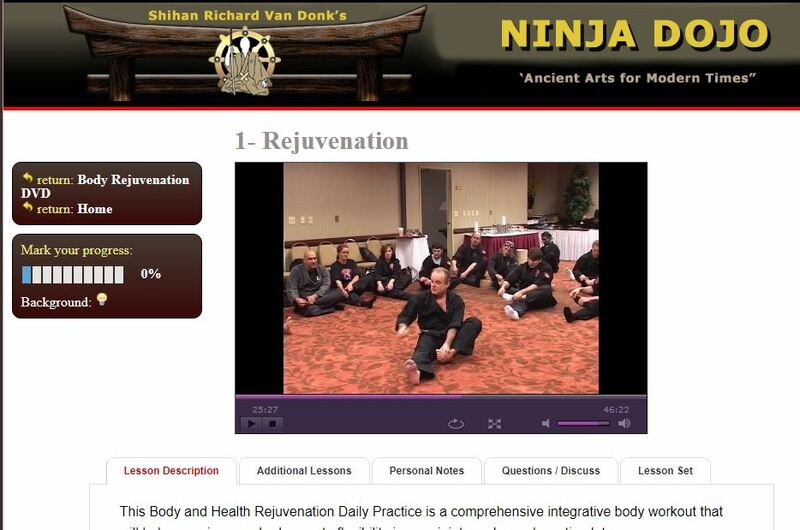 Click the button below to add the BUJINKAN MASTERS COURSE ONLINE - LIFETIME to your wish list.